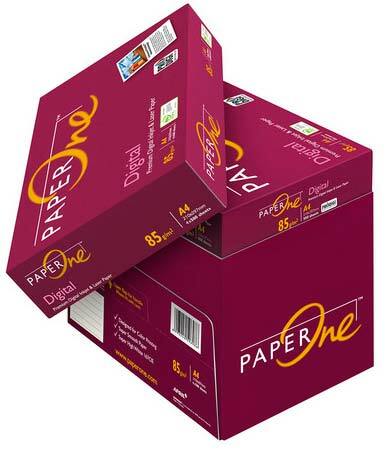 By keeping record of the latest market developments, we are able to offer Paperone Digital A4 Size Copy Paper. Widely demanded at schools, colleges, shops and offices, it is well suited for copying and printing applications. This Paperone Digital A4 Size Copy Paper is manufactured with precision using quality tested wooden pulp and highly advanced methodology by our diligent experts. The provided paper is highly appreciated for its smooth texture and excellent image clarity. Base Weight 80gsm, 70gsm, etc. Full service including design, pre-sale, after sale, etc.